Although Michelle and I are really excited about our new home, the process of moving is about as fun as a sharp poker to the eyeball. Ok, maybe not that bad. We have lived in our current home for eight years and it is amazing how stuff accumulates in every corner. We packed like crazy last weekend and we still have a lot to do before the movers come this Saturday. I am really fortunate to have a very understanding wife and she carried the packing torch while I rode for six hours last Saturday in an effort to build some fitness and maintain my sanity level. On that note, I am really digging the Salsa La Cruz. The combination of the steel frame and slightly larger tires make for a seductively smoove ride. Yeah, I said smoove. Question for the rigid 29er riders: Does your fork twist/flex when you brake hard. When riding my LaCruz, I notice that the front wheel jerks to the left (maybe 1/4")when braking hard on downhills. Is this normal? I am running Avid mechanicals w/160 rotors. Seems a little funky to me. Anyone else going to the 18 Hours of Fruita??? My Blog is boring lately...but that is fixin' to change in the not-so-distant future. I am really looking forward to starting my season off in Fruita in a couple of weeks even though I won't have ridden once on dry dirt before I get there. If this pans out, this weekend's planned long ride could be a test of will. Wow, it was nice to finally get some quality riding outside on the road bike this past weekend. My legs are toast and that makes me happy. Saturday's hammer-fest with JayP left me a bit cooked and then Sunday's 4:15:00 ride finished me off. If we get lucky with the weather I might try for an "Around the block" ride this coming weekend. I think I am officially the world's slowest bike builder. Many distractions over the past week prolonged this project but I finally got the La Cruz built up late yesterday. The Planet Bike Cascadia fenders should be here any day now to complete the build. This is the cleanest this bike will ever be. I plan to ride this bike with fenders whenever its wet and then throw some 38c knobbies on it for summertime dirt road exploring. Saturday's storm was just nasty enough to make me stay inside and ride the trainer but not enough leave much accumulation in the valley. I was craving a longer ride and when I woke up Sunday to 14F temps I knew the best option would be the snow bike. The high of 38F on Sat followed by the cold temps Sunday morning left my favorite snow bike trail in 100% rideable shape. Yeeehaaw! The snowmobile trail grooming program is done for the season but as long as we continue to have cold nights the trails should be rideable for quite a while. There is a LOT of snow on the ground above 7,000'. It was 18F, sunny, and calm when I began the ride but about two hours into it the wind came up and the clouds began to move in again. I was quickly digging for my Micropuff vest and some hand warmers for the long downhill. The risk with snow biking this time of year is that the trails will soften from sun while you are out and the return trip could be too soft to ride. Early morning snow bike rides are a safer bet. I have ridden the trainer more this winter than any other year since I moved to Driggs but this is the first winter that I have used a power meter. The Power Tap has made riding the trainer interesting and gives me the ability to race myself based on the results of a previous session. I do like to compare my results to previous sessions but most of all I like to know that I am maximizing my training time during the week. Looking back, the HR monitor was guesswork. It was another snowy & windy day in Teton Valley so the trainer got the nod again. I am shooting for a snow bike ride tomorrow. Waiting on a few small parts but I can get started with the build so that if everything goes well I will be riding it this weekend. Now all I need is a little cooperation from Mother Nature. 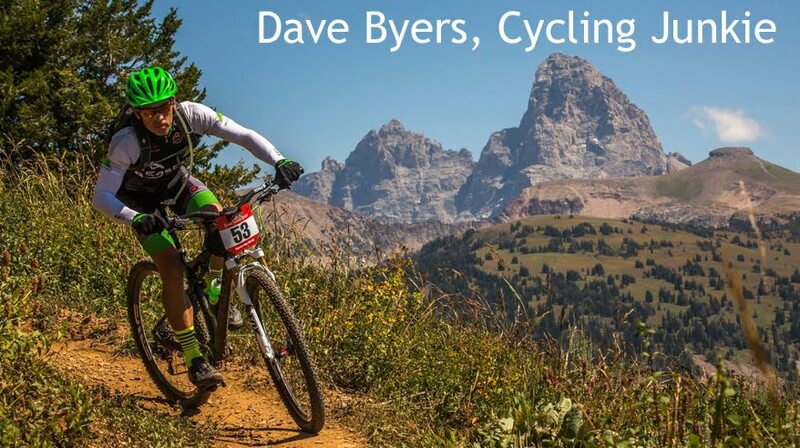 Ramblings on riding, training, endurance mountain bike racing and cyclocross racing with short digressions into fly fishing, skiing and life in Boise, Idaho.